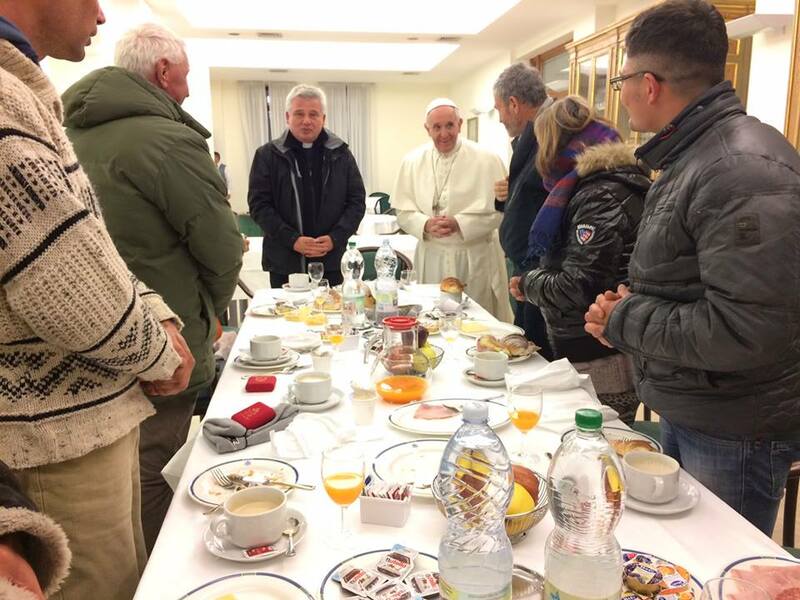 with this message I would like to encourage you to continue on your journey with migrants and refugees and to share a meal with them, like the one organized here by Caritas. Like Caritas, you have accepted an invitation to launch a global awareness campaign to support migrants and refugees: it is the "Let's share the journey" campaign, which we inaugurated together on 27 September. Today, I would like to invite all - migrants, refugees, Caritas operators and institutions - to grasp the features of this journey that have marked you the most: what hope does your journey lead to? Try to share this thought and to "celebrate" for what we have in common. Lastly, I would like to encourage you, Caritas, the community of the faithful and its pastors, and all people of good will to create new spaces for sharing, so that from our meetings a renewed fraternity may flourish with migrants and refugees. I warmly bless your table and wish you a good lunch. Vatican News excerpt: You too can participate in the “Share the Journey” Global Week of Action by taking part in one of the many events and initiatives set up by Caritas organizations across the globe.